Two terrorists were killed in an encounter with security forces in Jammu and Kashmir's Budgam district on Wednesday, police said. Incriminating material, including arms and ammunition, was also recovered from the encounter site. 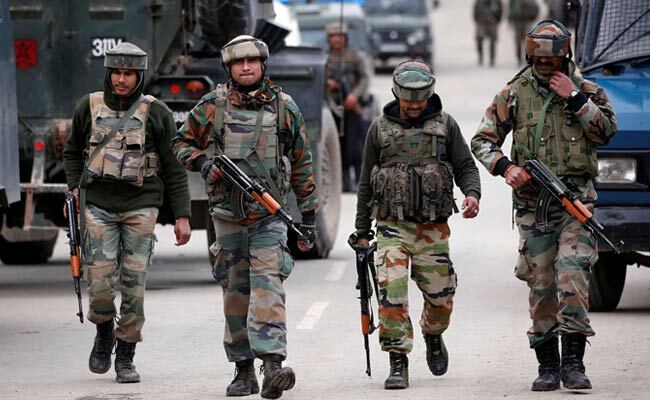 "Based on a credible input about the presence of terrorists in the Gopalpora area of Chadoora in Budgam district, a cordon and search operation was launched in the intervening night (of Tuesday and Wednesday)," a police spokesman said. He said when the search operation was underway, the terrorists fired on the security forces. The search party retaliated and it led to a gunfight in which the two militants were killed, the spokesman said. The identities and affiliations of the terrorists are being ascertained, he added. "Incriminating material, including arms and ammunition, was recovered from the site of encounter," the spokesman said. Police have registered a case and initiated investigation into the matter, he said.